Osa is still in use in some brigades but not side by side with Tor. No, TOR is an expensive system so any unit that needed it would get it but any unit that didn't wouldn't get any. Development was initiated in 1969, in parallel with the 2K22 Tunguska / SA-19 Grison, the intent being to provide a complementary system with a btter capability in heavily jammed environments, where the radar directed SPAAG might be at a disadvantage. The SA-19 was better than the SA-13 in all regards, including in jammed environments. Now Sosna will replace Strela-10 in the long run and work side by side with Tunguska and/or 2S38. SOSNA is a huge step forward over Strela-10 and will be a very good addition to the Russian military forces. It is faster, longer ranged, less susceptible to DIRCMS or decoy flares, and likely cheaper too. The fire and forget aspect of the Strela-10 is less important because SOSNA will use auto trackers and the very high speed of the missile means even engagements out to 8kms means a missile flight time of about 12 seconds... which is perfectly acceptable. standard config AFAIK is 3 pantsirs to protect one S-300. 3x12 = 36. Now we have 1 AESA with likely 360 wiev + 24 missiles on tel. + ew one more 57mm for close protection. Those mini quad missiles are supposed to be for blunting a mass attack, but while I doubt they would replace all tubes with these quad launchers they might replace 1/4 to 1/3rd of them to boost the number of available missiles. combination of speed, height and numbers to me means not only anty air raid but most probably also anit missile (IRBM or PGS) type of attacks. Why so many? Of coruse I can be wrong but why in advent of US INF withdrawal + PGS project is on they build such systems? It is way to high t any bomber/fighter. Me thnks those massivelaunchers will be very popular. BTW NATO have `round 7000 fighters/bombers Russia has by order of magnitude less. So Russian VKS must take most ofdefenc ewieght on thei shoulders. BTW Buk-3 height is... 35kms too. And number of missiles is 6+radar or 12 tel. new Pantsir-SM will be on armored truck or tracked vehicle. 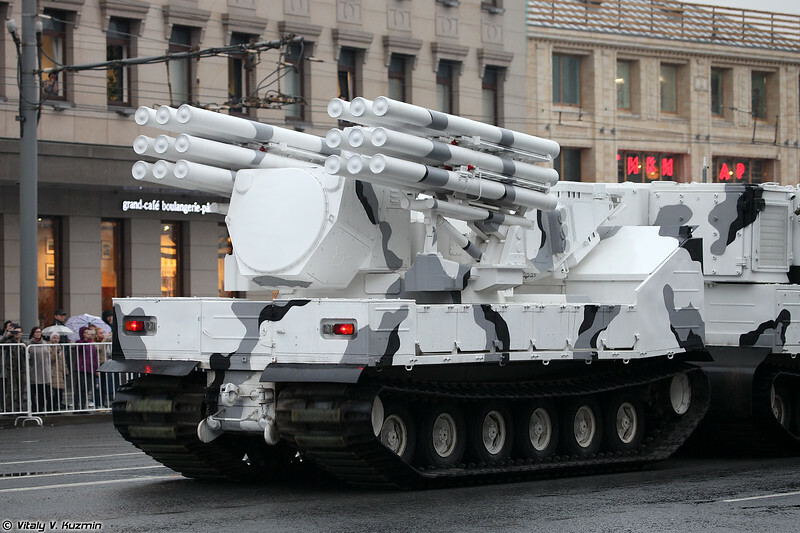 like Pantsir-SA one version of the vehicle will "only" have missiles, but double the current amount. I guess we can bury that propaganda BS that Pantsir somehow "failed" in Syria. How many missiles can a Pantsir guide simultaneously? I see the number of them available at the launcher is very big, but what about the capacity to simultaneously intercept targets? 1vcomand post + 1 radar + 1 radar launcher (6 issiles) + launcher (12 missiles). LMFS wrote: How many missiles can a Pantsir guide simultaneously? I see the number of them available at the launcher is very big, but what about the capacity to simultaneously intercept targets? That vast majority of them would be grounded in a hot Themonuclear war. The only exception would be the strategic platforms. Honestly the small missiles would be dedicated for PGM's, people overestimate the capability of swarm drones, ECM platforms integrated in IAD could mop them up easier then any missile could. People seem to forget that one of the most advanced drones ever created, the RQ-170 (could easily be an order of magnitude more sophisticated than any swarm drone), was defeated by the export equivalent of the Soviet-era created ECM platform, Autobaza, over the skies of Iran. But it´s always better to have options. ECM + Pantsir + 2S38 + tactical version of Peresvet. Poor little drones. For the Aerospace Defence forces (ie Air Force and Space Defence forces) they will likely use these trucks, and also for the Navy.... but the Army will likely mount them on all of their vehicle families.... ie Armata, Kurganets, Boomerang, and Typhoon. And likely the DT-30 articulated truck and trailer system for arctic regions. Well that is now up for question... the old model could guided two missiles at each target and had four guidance channels in total... three radar and one optical with two missiles for each target so 8 missiles in the air against the four targets. But the new system has an AESA radar which suggests potentially the ability to track more than 3 targets and to guide more than 8 missiles... (note the optically tracked targets still had their missiles guided using radio commands from the radar, but not anything you could easily jam or spoof or detect from a great distance). AFAIK it is 3 radar and 1 optical tracking for targets... with two missiles per target guided by radio command from the tracking radar. With new AESA radars for the Pantsir, not only will it be able to detect smaller targets at much greater ranges, but it should be able to guide a lot more missiles. I would expect the radar vehicle would be able to track maybe 16 targets and guide 32 missiles to those targets... but obviously most of those missiles will come from the missile carrier with 24 missiles rather than the radar vehicle that only has 12 missiles. Arctic version. News when it will deployed? Hermes for the navy. Will be used from the Pantsir-M mount. Ground forces could use it the same way. So based on that image the navy ship borne model uses the main radar of the ship for search functions with contributions from satellite links and drone information, while the launcher itself has a tracking radar and EO for guidance. BTW I reread my comments above and would mention that the navy Pantsir will likely come in at least three types... they have said there is are two ship based versions where one is an upgrade for existing vessel types and the other is designed for new ships and is more "stealthy". I suspect this info page, shown by Hole above shows the stealthy model without search radars that uses the main radars of the ship for the search function, and just a tracking radar and EO system. The other pantsir system used by the navy will likely be the same as the one shown above with the radar gun/missile system and the missile system both on trucks for land based use to protect ports and navy airfields and other facilities. Interesting that the arctic model (likely used by the Army) seems to have two lots of 9 ready to fire missiles on it. Nice. It seems the Pantsir-SA is used more as a "medium-range" air defence system in the High North with the Tor-M2DT for point defence. Yes, Pantsir-SA doesn't have guns, but 6 more missiles. It have 18 missiles instead of 12. 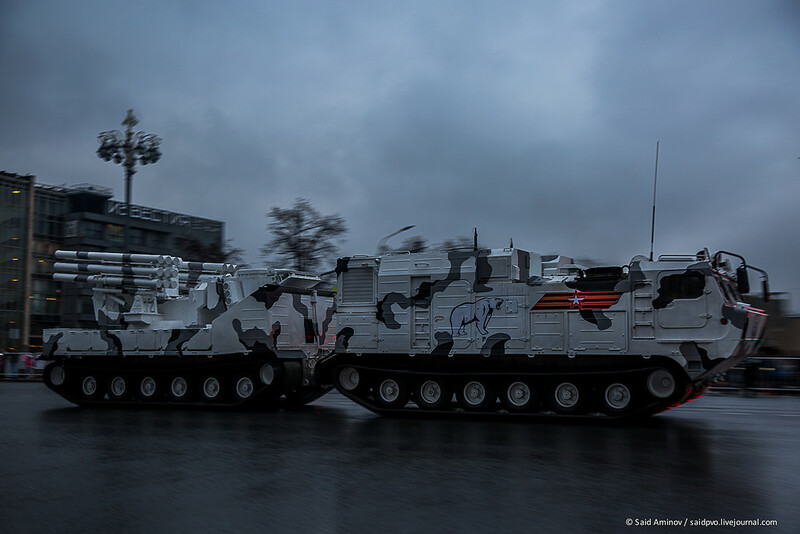 Interesting is, that we have two different arctic pantsirs with the same designation Pantsir-SA. Pantsir-SA based on Kamaz truck for air defense of arctic bases. 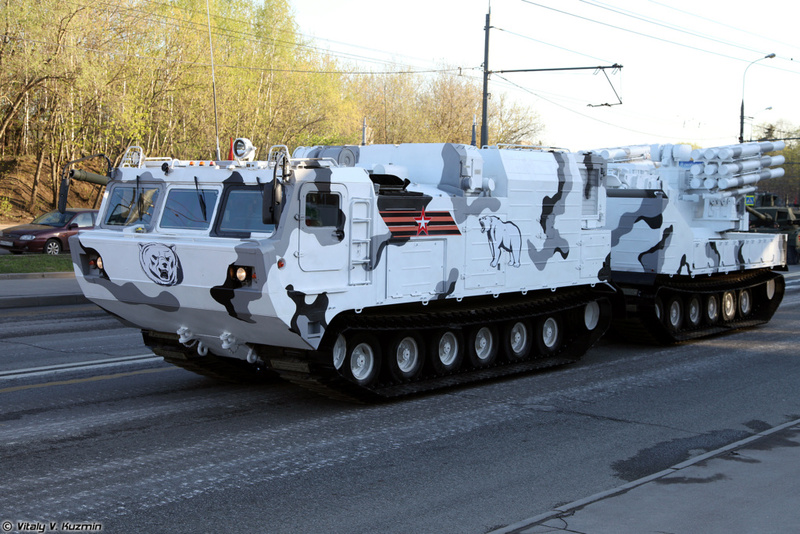 It is standard Pantsir-S1 modified to operate in Arctic climatic zone. Hole wrote: But no guns. apparently they dont expect small helos or APCs anywhere near. The number of missiles has to correspond to potential threats in this theater. I'd also expect longer range missiles in Arctic will be more than helpful. Первый арктический комплект зенитного ракетно-пушечного комплекса (ЗРПК) «Панцирь-СА» поступит в войска в 2019 году, в ближайшие дни он выйдет на испытания. Об этом сообщил заместитель Министра обороны РФ Алексей Криворучко. Замглавы военного ведомства сегодня посетил дочернее предприятие АО «КБП» – АО «Щегловский вал», где заслушал доклады руководителей и конструкторов о перспективных разработках предприятия. «Машина находится в цеху, на днях она выходит на испытания. Первый комплект ЗРПК «Панцирь» для Арктики мы получим в этом году», – сказал Алексей Криворучко. The first arctic set of anti-aircraft missile-gun complex (ZRPK) "Pantsir-SA" will go to the troops in 2019, in the coming days it will come to the test. This was announced by Deputy Minister of Defense Alexei Krivoruchko. The deputy head of the military department today visited a subsidiary of JSC KBP, JSC Shcheglovsky Val, where he heard reports from managers and designers on promising developments of the enterprise. “The machine is in the shop, the other day it goes to the test. We will receive the first set of ZRPK Pantsir for the Arctic this year, ”said Alexei Krivoruchko. 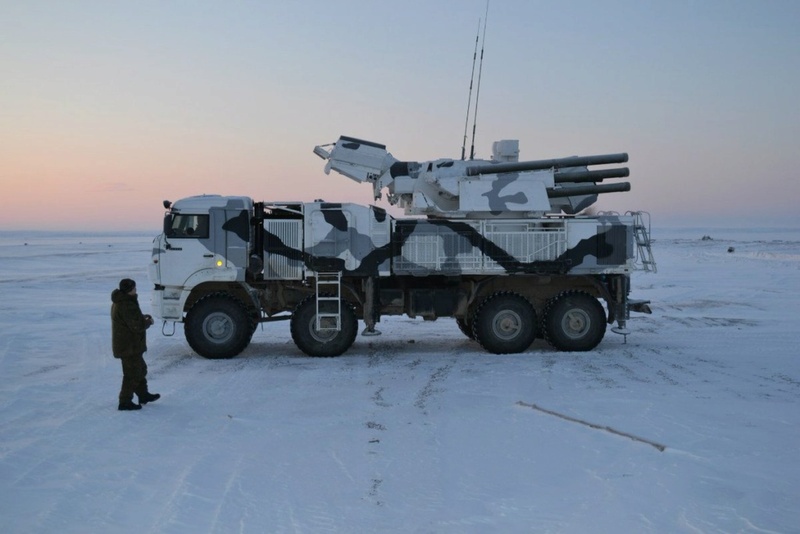 Russian arctic units will this year receive their first arctic Pantsir-SA with 18 missiles on DT-30P. Together with Tor-M2DT, they will have excellent air defense, able to break any massive attack. I hope they will receive 60 Pantsirs and 60 Tors. That would bring to 2056 missiles in launchers ready to fire. Arctic well protected. There could be another reason as well. Pantsir-SA on Kamaz trucks, which are made to protect bases, have guns, as they are stored in garages, when not in use. Pantsir-SA on DT-30PM is made to operate for days or even weeks on open in Arctic region. Contrary to guns, missiles don't need space in turret for ammunition, so the space for ammunition could be used for cpecial heating devices or antifreezing liquides, that the sistem could work normaly in extreme cold for longer period of time. We all know the story of Leopard2 tanks in Polish army, which need special tents when outside, that they could work properly in european mild winter. For Pantsir-SA -600C is normal working temperature and 1400 round give quite a lot of space for needed equipment, that radars and electronics work normaly in such cold. That is one possible reason, but I think the fact that they are using the new two vehicle DT family of vehicles where one carries the weapons and the other carries the crew and shelter equiment... presumably including heating etc it might be more of a tactical choice. It could be as mundane as the fact that the ammo for the 30mm guns uses plastic driving bands that don't work well at minus 60 degrees... and that when firing at very small targets like munitions that bursts of 400-500 rounds are needed to ensure a kill, so that 1,800 rounds only gets you about 5-6 kills anyway, so having an extra 6 missiles makes up for the replacement of the guns. They are either not expecting ground targets, which means guns no longer useful, or they might expect more substantial ground forces that require more powerful HE rounds. It was noted in WWII that the 45 calibre SMGs provided with lend lease tanks often failed to penetrate heavy clothing at anything more than point blank range... because they were large calibre subsonic rounds their penetration was poor... especially in comparison to their high velocity 7.62x25mm Soviet equivalent. Or... more importantly they might be moving to 57mm calibre guns that just wont fit on vehicles also carrying lots of missiles and they have decided to split the guns and missiles into different vehicles and are sharing the vehicle mounted sensors via data link to save money/costs. There is no warrior in the field: how Israel pierced the Russian "shell"
Austin wrote: There is no warrior in the field: how Israel pierced the Russian "shell"
An article fully of triviality and triteness about general employment of air defense systems and with liiterally zero adherence to the facts in question (and it is very unfortunate that the writer was someone serving in Federation's Armed Forces). The two Панцирь launchers destroyed by IAF last years and in the 21 January was both OUT-OF-WORK , both MOTIONLESS, IN THE OPEN and completely UNMANNED ,moreover from all the info available those two launcher was also INSULATED (very far from the minimum of 6 launchers covering each other that its CONOPS envisage ) and DEVOID of EW coverage and just theirs position, perfectly static in the same place of their use but without the crew lead heavily to the idea that simply those two launchers was caught in an umprofessional break time of its operators after an air attack was presumed terminated. At today no IAF attack has been capable in over 4 years to saturate even only a single Панцирь launcher (to the contrary of what,in mine opinion happened instead to the OCA launcher in the 21 January attack, probably attempting to engage just the incoming Deliah missile from under the minimum engagement range of its missiles -not being equiped with autocannons- cause the high time between engagement of this Soviet system and having likely engaged previously other targets). Obviously would be theoretically possible to achieve a concentrated saturation attack against a Панцирь's battery (and the task become exponentially more difficult at the growing of the launcher number and of EW coverage) but practically it would be an almost impossible and cost-prohibitive task to realize ,that moreover would simply cause those highly mobile launchers ,object of this concentrated attack, to simply disperse and protect themselves under heavy covers with effects truly disastrous in terms of cost for the attacking side. In mine opinion Israeli intelligence (both space based and the HUMINT on the ground) simply observe and ,where possible, take track of the behaviour of the operators of single SAM systems operating in a particular area, in search of some "bad habit" that ,with some luck lack of EW ssytem in the area and several attempts, would allow IAF to achieve an hit on the most modern Syrian air defense systems that are literally massacrating theirs very high cost stand off missiles and glide bombs putting a cost burden on theirs attack that become day after day always less sustainable. They don't care, US are paying. Syria is more limited. A pantsir cost 15 millions and they already have lost several. Back to the topic, it seems that in both case the pantsirs run out of ammo. They should increase the number of ready to fire missiles. 12 is still not enough. Russia should buy more of those SA variants to protect its bases. Another good idea would be a remotly controled fixed system mounted on a 50m mast on every airport. They will for sure put a pantsir or tor on every airfield so why not build one for always. It doesn't need to be particularly mobile since other system around will be and would take care of bombers. This pantsir will only need to fire at cruise missiles. So what it is basically saying is that the name of Russian Air Defence systems is mud because a third world country that has for decades been dominated and repeatedly humiliated by Israel might lose one or perhaps two air defence vehicles in a large scale well coordinated and executed attack? The suggestion that Russia should not supply systems to anyone that might have to use them is hilarious... Russia is getting to see what works and how well it works and is using that information to improve their systems. You could argue that Israel and the US are learning to fight important Russian systems but Russia is also learning about US and Israeli attack methods and responses to their defence measures... Pantsir wasn't created in a vacuum... it is an evolution of many generations of systems that have been tested in combat... the Pantsir today is a result of combat experience and new technology and evolution to fix vulnerabilities and problems and today the systems are a very tough nut to crack... but the US and Israel will continue to develop new ways to crack those nuts, so it is useful for the Russians to examine their methods (the Israelis and US have air defence systems that also will need to be defeated... looking at the western methods could help construct ways to defeat their own systems) to improve their defences and their ability to attack western systems. Well actually they should develop tactics based on the attack... a battery of 6 Pantsirs should be able to cover a Pantsir vehicle while it is reloading... the command vehicle should allocate targets based on ready to fire rounds with perhaps one vehicle used the most so it can reload. For the command vehicle in the Pantsir battery... they don't know how many threats are coming... ideally they should call in aircraft interceptor help. IDK Garry, i since Syria and friends aren't that rich, could upgraded Shilkas be used as point defense, in order to create more time for the Pantsir or whichever system to reload. If each pantsir unit has 2 Shilkas covering them, it will be extremely difficult for missiles to take said system out. Especially if they can coordinate with the Pantsir or a nearby TAR providing targeting data. I think problem of actual Syrian air defence is that they didn't get to have modern systems that can allow them to engage directly IAF launcher planes and just the incoming cruise missiles and suicide drones. So in the end what IAF have to do is to reiterate their attacks as long as is needed until they found a breaktrought. Only once it happened that one of their fighters get nailed, they would need to put their S-300 battery in function ASAP. 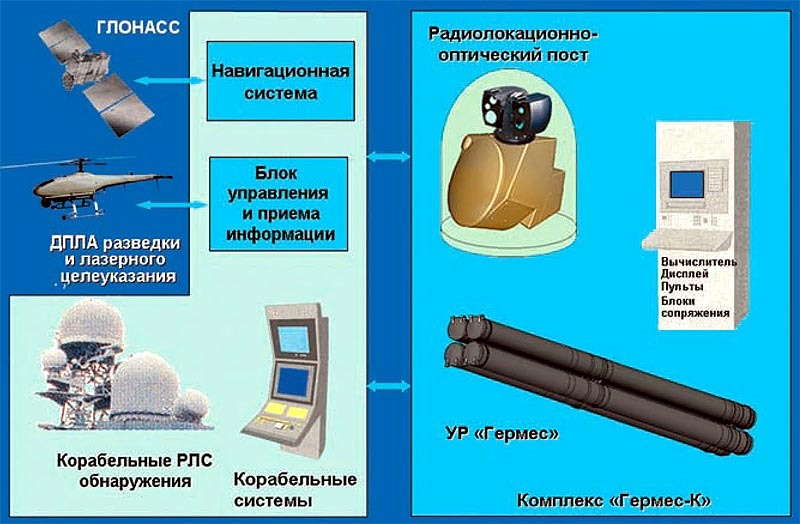 On more general term serial production of S-350 (a system that IMHO has not received the right consideration) have to start and development of Pantsir-SM and its new family of missiles have to be completed in order to fully match large scale coordinated cruise missiles/swarm drones attack.